The R-10 is a fraction of the cost of our flagship R-121 and is an excellent studio and live ribbon microphone. Get to know it in this video. 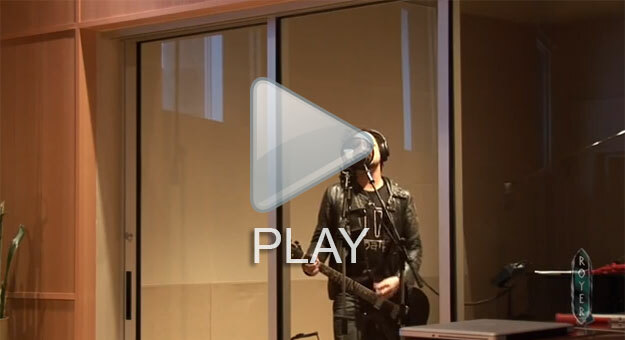 Recorded at Warehouse Studios – Vancouver, B.C. 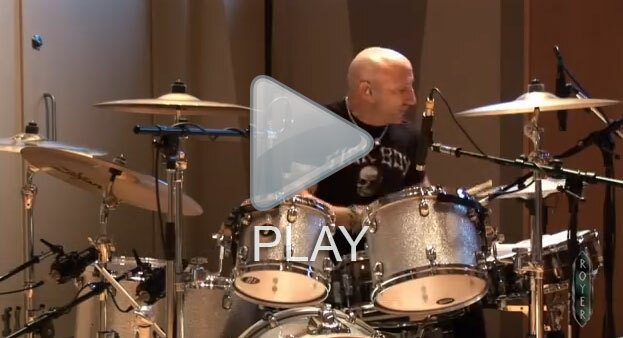 R-121’s on electric guitars and two R-121’s as drum room mics. When our friend Fab Dupont set out to record singer/songwriter Will Knox’s album “The Matador And The Acrobat” with engineer Meredith McCandless, they decided to track the album entirely with Royer ribbons (except for a condenser on Will’s vocal and a dynamic on the snare). Here is a behind-the-scenes look at the recording process that Fab and company so kindly put together for us. Visit Fab’s website at www.fabulousfab.com. Visit Flux Studios at www.fluxstudios.net. 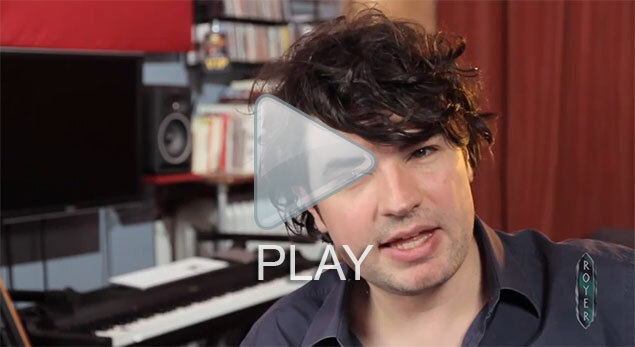 Puremix.net is an educational website featuring a wide assortment of videos on recording, mixing, mastering and much more. Puremix.net was created by Fab Dupont; his partners in Puremix now include Ben Lindell and Ryan West. Grammy winning Producer/Engineer Ross Hogarth gives a seminar on his techniques for recording drums and electric guitars with ribbon mics, showing mic placements and letting us hear mixed and isolated ribbon-recorded tracks. Full mix, conversation about drum mic placement, then isolated ribbon-recorded tracks. Full mix, conversation about electric guitar mic placement, then isolated ribbon-recorded tracks. Recorded and mixed by Craig Brock. Produced by Tom Royer and Craig Brock. Recorded at Whitehorse Studios, Portland, OR. Two R-121’s capturing all the brass and drums in a live room (drums also have a single KM-84 small diaphragm condenser mic blended in, hung four feet above the snare). From the Lil Tom Tom, Inc. release “Insect Ball”. Producer: Shawn Sullivan. Engineer: Kyle Homme. Recorded to Pro Tools at World Class Audio, Anaheim, CA. One backward R-121 on vocals and acoustic guitars. Two R-121’s on drum overheads. Sean Sullivan was the original discoverer of the backward R-121 recording technique. Due to our patented offset ribbon element, the back side of the microphone is slightly brighter than the front side when placed within 3 ft of any sound source. Recorded and mixed by Steve Kempster. Song 1. R-121’s on all percussion instruments and brass. SF-12 stereo ribbon mic on drum overhead. 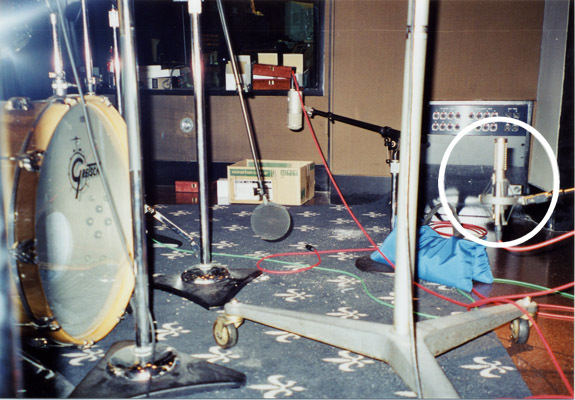 Recorded to Sony 4038 (16-bit) at Signet Sound, Hollywood, CA. Song 2. R-121’s on all percussion instruments, guitars and violin. SF-12 stereo ribbon mic on drum overhead. Recorded on a Sony 3348 (16-bit) at Village Recorders, Los Angeles, CA. 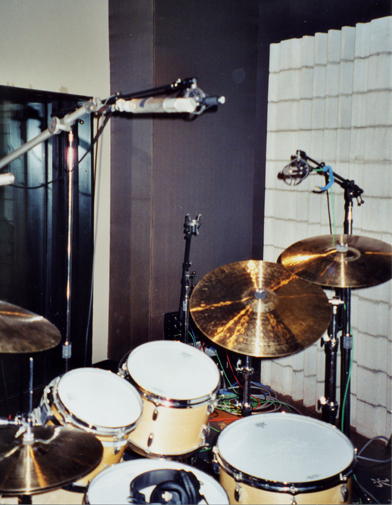 Session drummer Kevin Shepard playing a Gretsch kit in a large iso booth. Recording chain: all mics through Neve console preamps, recorded directly to DAT. 1. 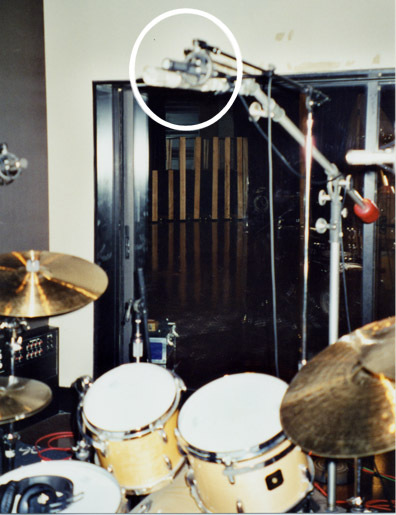 Kick Drum/Room – one R-121 three feet from the front head. 2. SF-12 overhead, lightly EQ’d to open up highs. 4. SF-1’s overhead, lightly EQ’d. 5. SF-12 overhead (lightly EQ’d) and one R-121 three feet off the kick drum. 6. SF-12 overhead and one R-121 three feet off the kick drum. Same track as #5, but with no EQ. R-121 – 10 inches high and 20 inches off the front kick drum head. 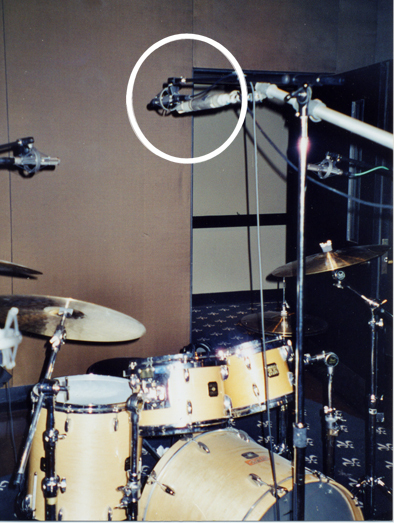 The microphone was leaned forward 45 degrees to take advance of the mic’s null points and isolate the kick drum from the rest of the kit. Recorded at Cornerstone Studios – Chatsworth, CA. Recorded at Electrical Audio, Chicago, IL. In Royer’s early days, when many people didn’t understand ribbon microphones, Steve Albini was kind enough to make a number of educational recordings for us which we included on our first demonstration CD. Steve is a well-known, well-respected engineer who has plenty of experience with ribbon mics and thousands of engineers and producers have learned from these comparison recordings over the years. All of Steve’s comparison tracks are here, along with his original commentary.